Zombie Brand Rising From the Dead? Anyone eaten at a Burger Chef lately—anyone? According to Wikipedia, there aren’t any remaining stand-alone Burger Chef restaurants. The Hardee’s chain ultimately ended up with ownership of the brand, but its ownership was challenged by zombie reviver River West Brands (prior blog post here). In 2006 River West Brands filed its own application for BURGER CHEF and then petitioned to cancel two Hardee’s trademark registrations on the basis of abandonment. 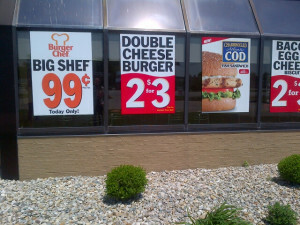 Hardee’s has also filed a new application for a BURGER CHEF mark. So what do we make of the Burger Chef reference on Mad Men? I don’t think these things happen by coincidence; when Interstate Bakeries was in bankruptcy it used product placement in the movie Talladega Nights as free advertising for Wonder Bread. 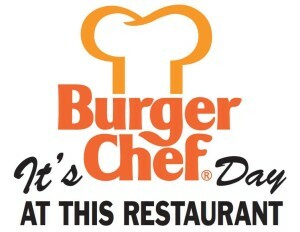 Are we seeing Burger Chef return from the dead?